Alfie's parents (Tom Evans and Kate James) opposed the application. Naturally, as loving parents, they hope that a cure can be found and that their beloved son will recover. Mr Justice Hayden heard 6 days of evidence and reached the conclusion that Alfie's brain had been "so corroded by neuro-degenerative disease that his life was futile." Read Hayden J's judgment of February 2018 - Alder Hey Children's NHS Foundation Trust v Thomas Evans and others  EWHC 308 (Fam). Alfie's father sought permission to appeal from the Court of Appeal (Civil Division). His application was based on 3 grounds set out at para 49 of the Court of Appeal's judgment - E (A child)  EWCA Civ 550 King, McFarlane and McCombe LJJ. Ground One: Failure properly to weigh parental views in the best interests decision and consequential breach of Article 14 ECHR (read with Article 8) and Article 8 ECHR. Ground Two: Failure properly to consider what would be an appropriate palliative care pathway, and more widely, how the consequences of the judgment were to be managed. Ground Three: Failure to assess matters relevant to best interests or weigh up the available alternatives. Permission to appeal was refused on Grounds 2 and 3 but granted on Ground 1. The appeal on Ground 1 having been granted, was dismissed. Mr Evans applied for permission to appeal to the Supreme Court of the UK but this was not granted for reasons set out by Lady Hale, Lord Kerr and Lord Wilson in this explanation of 20th March 2018. 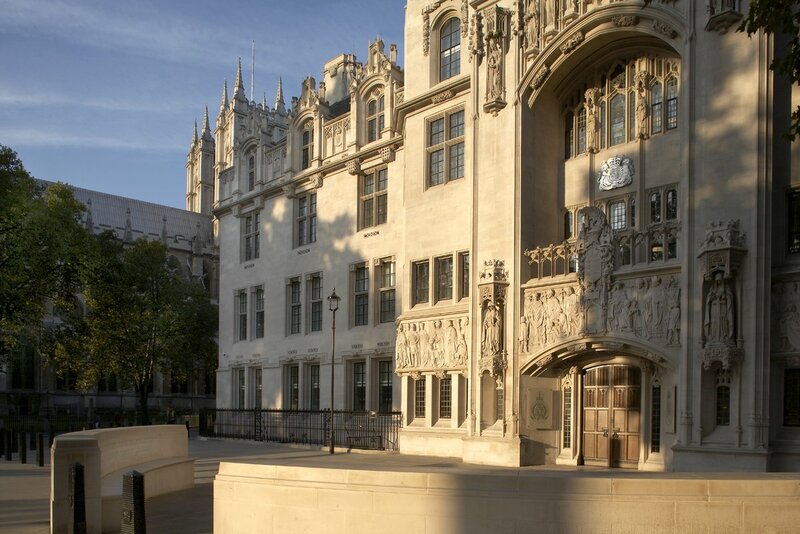 A further round of litigation concerned use of the Writ of Habeas Corpus -  EWHC 818 (Fam) Hayden J and in the Court of Appeal at  EWCA Civ 805 Davis, King and Moylan LJJ. The Supreme Court refused an appeal for reasons explained here. An application to the European Court of Human Rights was declared inadmissible - reasons here. The ECtHR said that there was no appearance of a violation of the rights and freedoms set out in the European Convention on Human Rights. An important element in the case is that the Bambino Gesu Paediatric Hospital in Rome had offered treatment and the parents wished to move Alfie there. Furthermore, on Monday 23rd April it was announced that the Italian government had granted Alfie Italian citizenship - BBC News 23rd April. Could Alfie go to Rome? Why has the court not permitted Alfie to be taken to Rome? Hayden J summarised the reasoning at paras 63 and 64 of his first judgment. 63 - The plans to take him to Italy have to be evaluated against this analysis of his needs. There are obvious challenges. 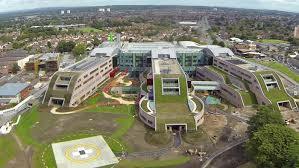 Away from the intensive care provided by Alder Hey PICU, Alfie is inevitably more vulnerable, not least to infection. The maintenance of his anticonvulsant regime, which is, in itself, of limited effect, risks being compromised in travel. The journey, self-evidently will be burdensome. Nobody would wish Alfie to die in transit. 64 - All of this might be worth risking if there were any prospect of treatment, there is none. For this reason the alternative advanced by the father is irreconcilable with Alfie's best interests. The Court of Appeal's first judgment (from para 21) also throws further light on this question. Three specialists from Bambino Gesù reviewed Alfie's records and on 11 September 2017 travelled to Alder Hey to examine him. They agreed that even if further testing were carried out, it would not provide a cure or bring a different treatment plan. Nowhere in their report was it suggested that it would be in Alfie's best interests to continue the ventilation but they were prepared to treat Alfie in Rome. The report also recognised that during travel Alfie might present cotinuous seizures. The Court went on (para 23) to note that Bambino Gesu was not offering any additional investigations or new therapies [my emphasis]. Also, if Alfie's condition were to significantly deteriorate during transfer to Rome there would be a risk of sudden and "undignified" death outside the secure environment of a paediatric intensive care unit with his family present. Despite the legal logic, one might still think that the transfer to Rome ought to be permitted despite the risks of travel and despite the fact that the Rome hospital is only offering treatment which is essentially the same as that available at Alder Hey. Why should the wishes of Alfie's parents, who are both clearly loving and caring parents, be trumped by the court? The answer lies in the "best interests" test which is perhaps best encapsulated by Baroness Hale in Aintree University Hospital NHS Trust v James  UKSC 67. The question of what is in the best interests of the child are case specific and the judge has to look at all the available material and reach an objective conclusion based on that material. Once the court resolves the "best interests" test against the wishes of the parents it is the court's determination which prevails in law. The court could not properly go on to say - "Nevertheless, the parents wish to do .... and the court will allow it." It is reported - BBC News 24th April - that a further application was made to the High Court and heard by Hayden J. It appears that the Italian government wished to intervene in the case and requested further time. It is reported that Mr Justice Hayden dismissed Mr Diamond's application, saying it amounted to a "last-ditch appeal" and that Alfie is a British citizen and is habitually resident in the UK. He is therefore under the jurisdiction of the High Court." It is reported that a further hearing has been arranged in Manchester - The Guardian 24th April. The Guardian report states - "The child’s parents were granted an emergency hearing before a high court judge on Tuesday afternoon after they said the 23-month-old boy had been breathing unassisted since his life support was removed." "Tom Evans and Kate James will ask that an order preventing Alfie’s removal from Alder Hey hospital in Liverpool be lifted. Roger Kiska, a solicitor for the group Christian Concern, said medical transportation was available to take Alfie to Italy, where he has been offered treatment, ..."
Christian Concern - Why Alfie matters. BBC News (25th April) reported on the hearing. Mr Justice Hayden ruled that the family could not take him abroad for further treatment, but that he may be allowed home. The judge said: "This represents the final chapter in the case of this extraordinary little boy." For a further report see The Guardian 25th April. The case returned to the Court of Appeal (Civil Division) McFarlane, King and Coulson LJJ.